With more than 500 million users, LinkedIn is the world's go-to site for professional networking, job searching, and corporate branding. It's also the ultimate platform for high-level marketing, lead generation, and thought leadership. Fully 92% of B2B marketers prefer LinkedIn over other social networks,44% of LinkedIn users earn more than $75,000 per year, and 41% of millionaires use the platform. That's why LinkedIn is a prime platform for lead generation. "Social media platforms as a whole aren't scoring high on the lead awesomeness scale," asserts Kissmetrics, "But among the low-scoring social sites, there is one that stands out as a success marker. You guessed it: LinkedIn." 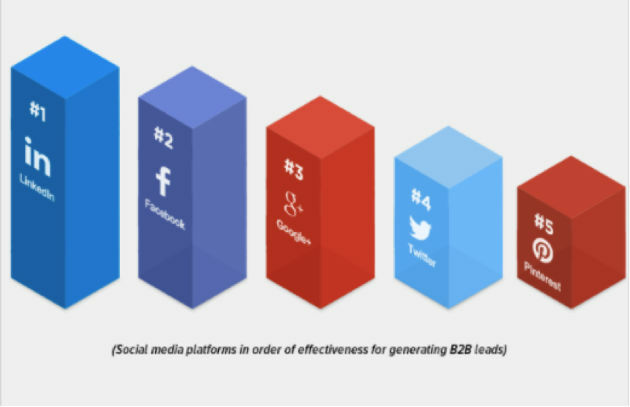 Nearly 80% of marketers consider the platform the most effective social media source of lead generation. Shakir Akorede is a writer, a content marketer, and the founder of 501 Words. He's an agenda contributor to the World Economic Forum, focusing on Millennials and business.